As daylight hours dwindle and it feels increasingly like your alarm is going off in the middle of the night, it can be a challenge to fit exercise—particularly of the outdoor variety—into the weekday. The usual tricks, like promising yourself an extra coffee in the afternoon and putting your alarm across the room, are no match for dim mornings and the appeal of hibernating. And even though the shot of endorphins known as the runner’s high goes a lot further than a shot of a.m. espresso, the feeling of starting the day on an energetic note can seem like a distant dream that belongs to the summer months. Sound familiar? 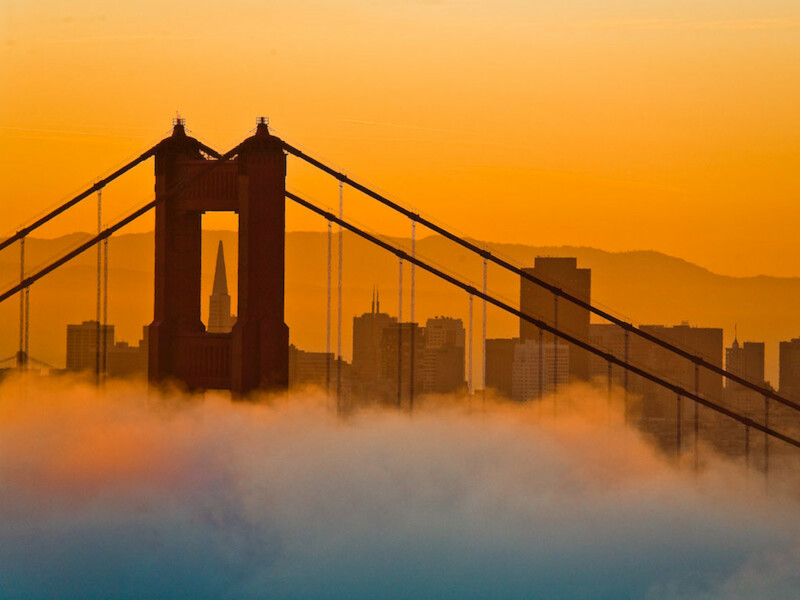 Don't despair—because you're lucky enough to be in San Francisco, a city of endless views that look particularly lovely around sunrise, which can serve as excellent incentive to lace up the sneakers in the early morning hours. 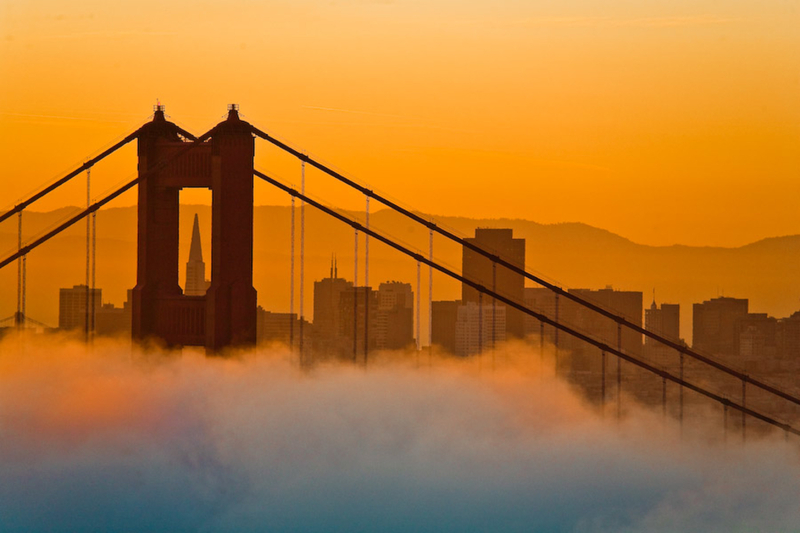 Here, six spots around the city with eastern exposure and classic San Francisco views to inspire you to start your day off right. With these on your radar, you may not even need that snooze button anymore. Rising above the Castro, the rocky outcropping of Corona Heights looks east over the city, the Bay, and the hills of the East Bay beyond. Depending on your route, you can run through the tree-lined Panhandle and the oak groves of neighboring Buena Vista Park on your way to this lookout. The climb to the peak of Corona Heights is minimal compared to the reward of watching sunbeams spill over the the Oakland hills and reflect off the buildings of the Financial District. An often overlooked knoll rising above Cole Valley, Tank Hill offers a similar vista to Corona Heights, and a perfectly positioned bench where you can rest or stretch while you take in the sunrise. With an elevation of 650 feet, the spot offers views all the way from from Point Reyes to Bayview Hill . Below, the lights of Market Street light up the path east to downtown. While the view due east from Grandview Park is obstructed by Mt. Sutro, it is nonetheless a stunning place to watch a sunrise over the city. The climb to Tank Hill from the streets of the Inner Sunset is formidable, but it holds the distinction of being one of the most scenic place to run stairs in town. 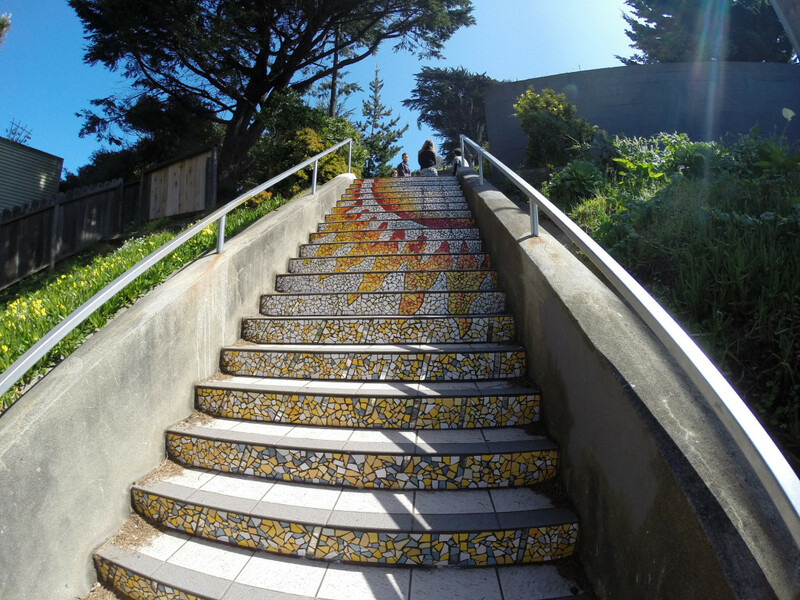 The Moraga Steps—a beautiful mosaic staircase created by 300 neighbors and completed in 2005—will keep your steps lively as you climb to the park above. From Grandview Park, watch the Golden Gate Bridge glow orange and the white waves of Ocean Beach turn pink. 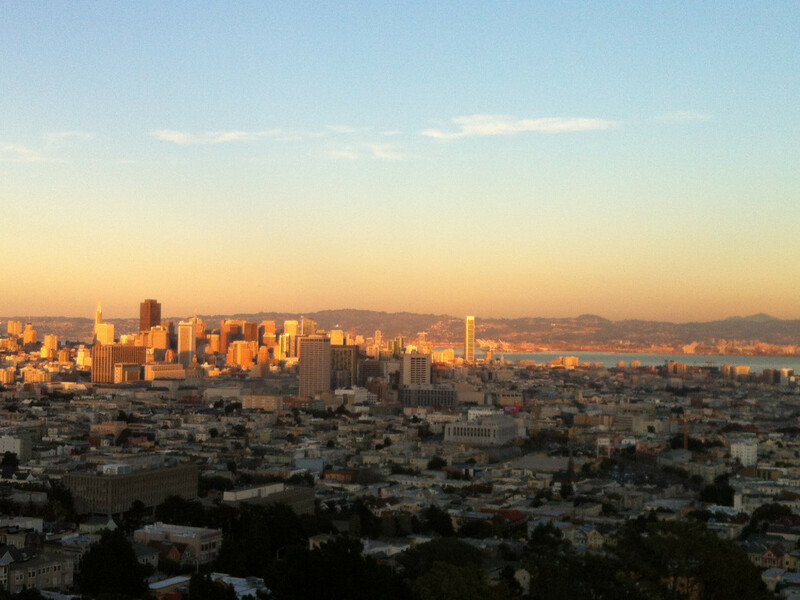 The sunset is hugely popular at Twin Peaks, two of San Francisco's most famous hills. But you'll have the spectacular views almost to yourself in the early morning hours. You'll have to hoof it to get up there: At about 925 feet, the two hills are the second-highest in San Francisco, behind Mount Davidson. 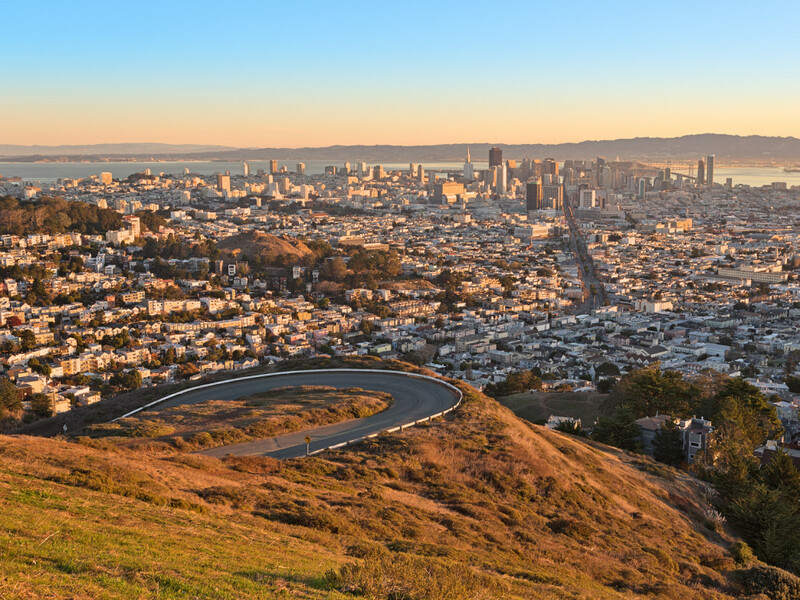 The grind up to the summit rewards you with expansive views across the city and the Bay, and at sunrise, you're almost guaranteed to not have any tour buses to avoid. On the southern edge of the city, Bernal Hill overlooks 360-degree views: city streets leading to the Golden Gate Bridge to the north, downtown San Francisco, the Bay to the east, the San Bruno mountains and beyond. The route to the top of Bernal Hill is grassy and open, offering views the whole way up, which makes it an ideal place to watch the sun rise over the city. 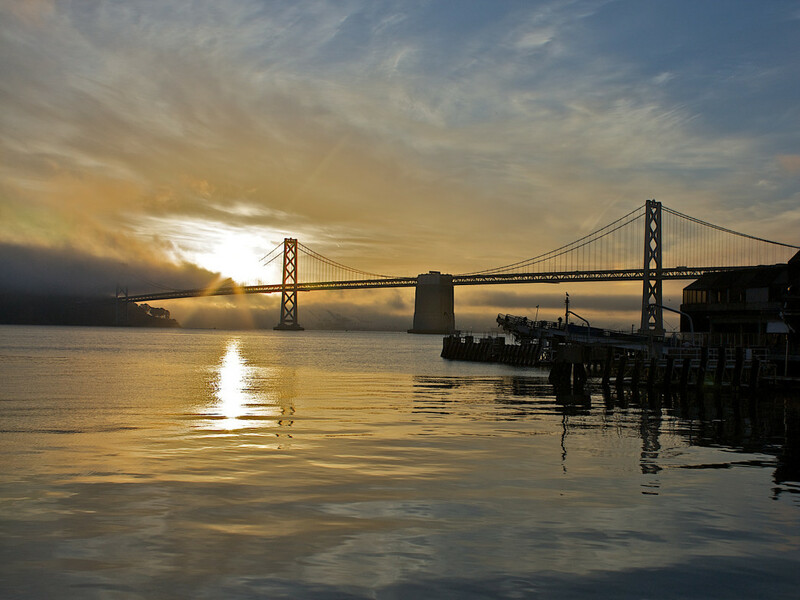 It may not be on a hill, but the Embarcadero nevertheless appeals as a great place to catch the sunrise. Take in salty sea air as you look out at the piers, ships, and the Bay Bridge. 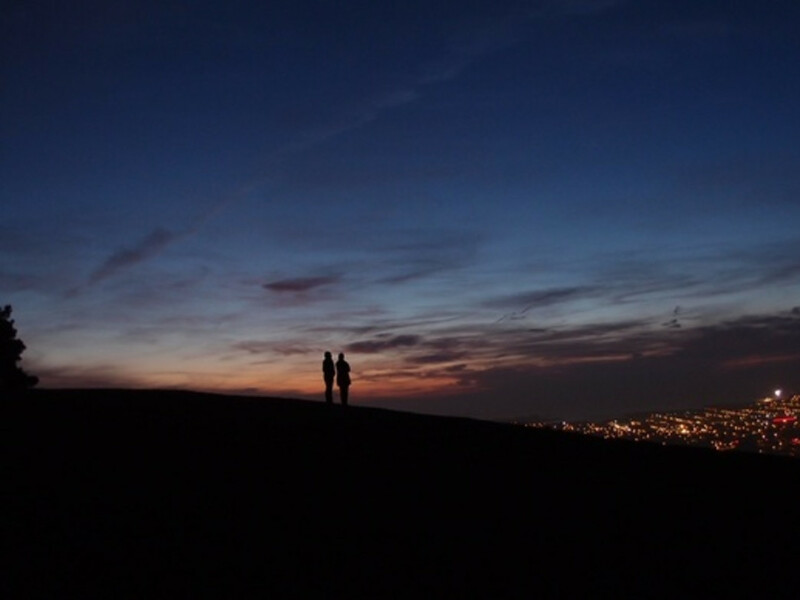 Watch the sun rise above the East Bay from the easternmost edge of the city.